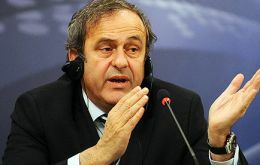 A total of 6,164,682 requests for tickets for the 2014 FIFA World Cup had been received when the initial application period ended on Thursday 10 October 2013, of which 70.86% were from Brazil, with the remaining 29.14% from the rest of the world. American rockers Aerosmith have declared themselves fans of Uruguayan leader Jose Mujica, a colourful former guerrilla known for his simple lifestyle. But the 78-year-old Mujica can't say the same of Aerosmith, admitting after meeting with band members that he hadn't heard any of their songs. 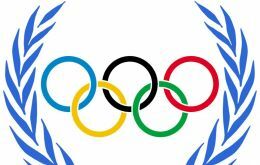 President Dilma Rousseff nominated a senior army officer to fill one of the top roles in organizing the 2016 summer Olympic Games in Rio de Janeiro. Major General Fernando Azevedo e Silva’s appointment to head the Olympic Public Authority, which coordinates the work of state and local governments, has gone to Brazil’s senate to be ratified, the nation’s official gazette said. The International Air Transport Association (IATA) has revised its 2013 global industry outlook downwards to 11.7 billion on revenues of 708 billion dollars, but anticipates that all regions during 2014 will see improved profitability, with divergence in performance and with strong emphasis in North America with 6.3 billion net profits. Delays are plaguing work at airports in seven of the 12 Brazilian cities that will host the World Cup nine months from now, the daily O Globo reported Sunday. 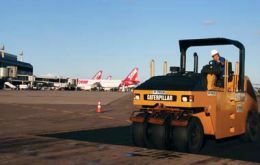 Citing a survey by Infraero, the federal airports agency, the paper said the worst delay was in the southern city of Porto Alegre, where work on expanding terminal at a cost of 69 million dollars has not even begun. There could be two Manchester Uniteds in European club competition next season after UEFA on Friday granted Gibraltar one place each in the Champions League and Europa League qualifying rounds.